The Kangovou Compartment Plate is designed to be sleek, chic, and portable, perfect for on-the-go people looking for style. Their insulated stainless steel allows food to be kept at a constant temperature for a long period of time while the outside cover provides protection against the heat. 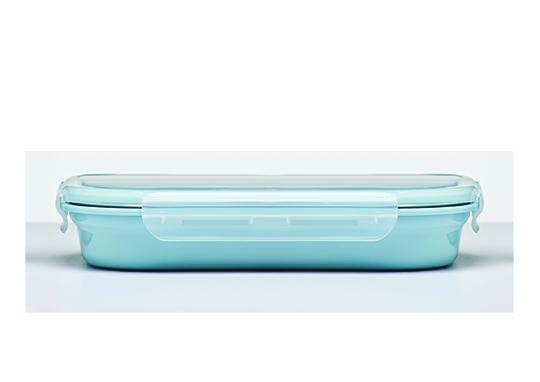 The lid itself is used to keep the food fresh for as long as possible, providing you with a ready-to-eat meal that you can enjoy. The Compartment Plate has five different compartments that you can sort your meal into, bringing a variety over for lunch, dinner, or even snacks. 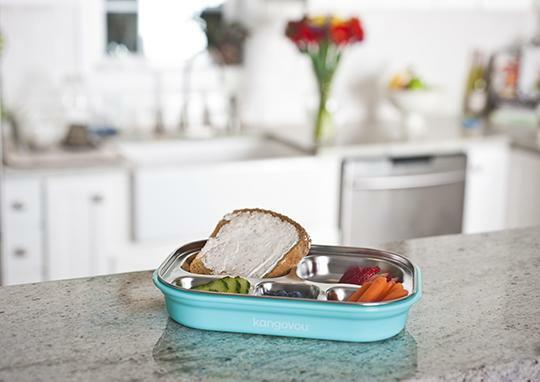 With Kangovou’s Compartment Plate, you can have your meal on-the-go anywhere, as it fits inside lunch boxes and bags. Packing food to go, whether for school or for work, can save anyone time and money. However, the struggle associated with finding the right container to transport the meal is almost not worth the stress. Add in the concerns and risks associated with most plastics and it may seem easier to just go out to lunch each day. With the Kangovou Compartment Plate, there is no need to worry about finding the right container for your meal. This product’s plastic parts contain no harmful ingredients that would otherwise taint food, like BPA, lead, and toxic chloride. While most plastic products contain these ingredients, Kangovou’s does not. They allow for healthy eating without having to worry what would leach into your food. The Compartment Plate has five different compartments, which allow different food to be sorted out and put into place. With the stainless steel insert it has, it is able to keep food warm or cool, lasting for the entire day. You can also put it into a refrigerator to store the food, keeping it fresh for the coming days. 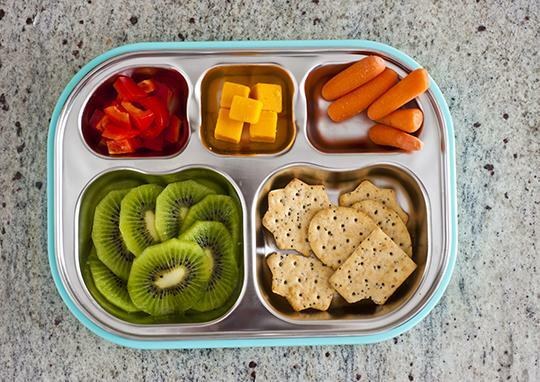 The Compartment Plate is perfect for on-the-go parents and their kids. You can store meals of all sorts, ranging from soup to vegetables to bread. 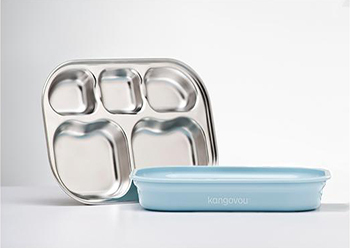 There is a whole different variety of choices you can make with Kangovou’s Compartment Plate, allowing you to pack a healthy meal contained within. It Is All About Safety! The risk of BPA, lead, and toxic chloride, as well as the other chemicals present in plastic, are all dangerous to individuals and families, especially with continued use. Products that contain these hazardous substances tend to be the cheapest option, yet they present the most risk. Investing in a solid product, one that is both safe for use by individuals of all ages and is able to keep food fresh and ready for consumption is important to the health of families who want to eat healthier despite their busy schedules. Whether bringing a snack for the kids, or a 2 o’clock pick me up for the adults, everyone needs a product that they can trust and be proud to use. Kangovou ensures that type of product, especially with the Compartment Plate. The goal has always been to provide families with safe, effective, chic dishware. Because of the Compartment Plate’s stainless-steel insulation, families can rest assured knowing that each time Kangovou products are used, there is no risk involved. If safety in dishware is important to you and your family, check out the Kangovou website and discover the many benefits of the Compartment Plate.